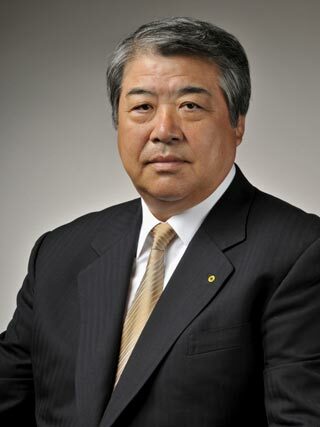 Haruki Uemura, who is today the President of All Japan Judo Federation, si also a World Champion (Vienna 1975) and an Olympic Champion (Montreal 1976). World Champ. 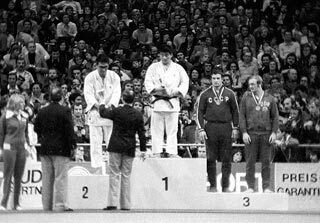 Vienna 1975 © David FinchI am very pleased that IJF has designated the ‘World Judo Day’ to be on the 28th of October which is the birthday of Jigoro Kano Shihan. I feel it is such a suitable occasion to bring us back to the origin of Judo. 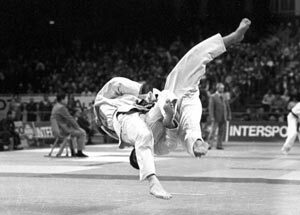 In any competition, I always encourage athletes to compete in the way that: value manners, grip correctly (correct Kumikata) when fighting with earnest attitude, and try the best to take IPPON with reasonable techniques. Jigoro Kano Shihan established the Kodokan Judo in 1882. Kano Shihan promoted Judo as a competitive sport, and at the same time, he advocated ‘Seiryoku Zenyo’ and ‘Jita Kyoei’ and gave importance to the human education. In the beginning, there was no specific refereeing rule. While we practice Judo trying to be creative, gaining self-discipline, training ourselves, and aspiring to perfecting ourselves, we gain endurance, spirit of challenge, and confidence. Furthermore, friendship, respectful mind, and spirit of fair play will be developed in us. As a result, we learn to value manners and to respect each other which are one of the most important values of human nature. In Judo, there are always oneself and others. Others are important for us to enhance ourselves. We should always help each other and give each other, and always be grateful to others and respect others. Competitors must respect the opponents and vice versa. Competitors must also respect referees and referees must do the refereeing so as to be respected. I believe such competitions with full of respect will deeply impress the spectators. On the occasion of World Judo Day, I would like to think about the true meaning of ‘Respect’ together with my Judo friends in the world, and I wish more and more people will become aware of the treasure in Judo.